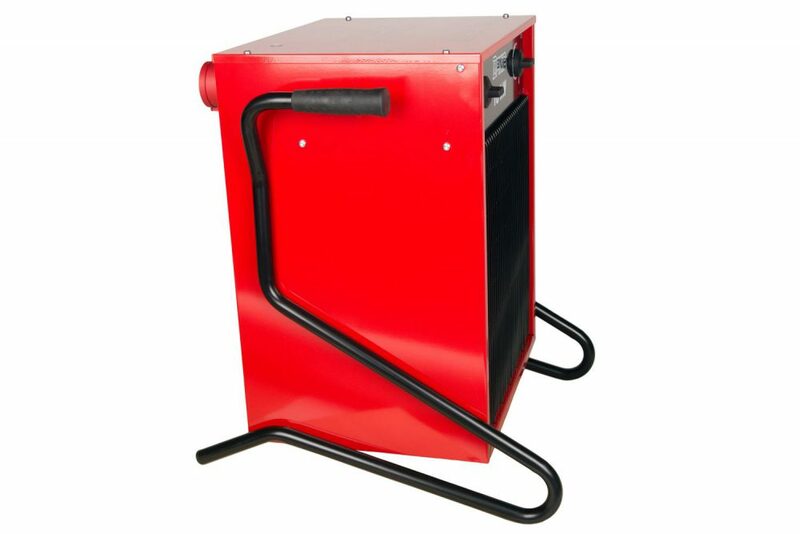 DANIA fan-heaters are manufactured in rugged steel cabinets with	strong safety insulated handles. They have encapsulated stainless steel	heating elements that are extra-insulated from the cabinet as well as a	safety thermostat which guards against overheating and thus ensures	that fire hazard does not arise. With the help of a selector switch, it is	possible to choose between ½ and 1/1 heating effect and a room	thermostat ensures that the desired temperature is maintained. DANIA fan-heaters can be use for domestic heating as well as in	farming, building and service sectors as they are ideally suited for	heating small and medium sized premises such as living rooms,	workshops, garages, shops, storerooms, summer cottages, etc. Even	larger premises, such as greenhouses, sports and factory facilities can,	by using several fan heaters, be heated sufficiently. DANIA-fan-heaters are manufactured and approved according to	current European standards.